Thanks to the evolution of data and the cloud, the job description of modern lawyers has shifted to reflect the state of technology. Practitioners of law — be it through law firms, legal departments or individual lawyers — have always been dependent on data. Of course, it’s only recently that a majority of that data is digital, through what we refer to as big data. As you may know, big data is powered by cloud computing, AI and machine learning, as well as a variety of digital analytics platforms. Gone are the days where an army of well-intentioned interns and paralegals, fueled by coffee and energy drinks spend their waking hours scouring through dozens — if not hundreds — of law books to find a solution to a case. Instead, they will rely on data technologies, which can make this process both faster and more efficient. It’s all part of a relatively new process called legal analytics that — like business intelligence or marketing analytics — involves extracting rich, targeted insights from a vast quantity of data. Only, in the legal industry, you’re not trying to measure how many customers buy a product or engage with a marketing campaign. Instead, you’re doing things like reviewing how many cases support your argument and whether or not you can use certain pieces of evidence to enrich said argument. Suddenly, you’re talking about data-driven lawyers who spend a bulk of their time conducting complex searches and pouring over digital content that could be potentially relevant to their case or current workload. Better yet, these systems can be left to search in the background, while their human counterparts focus on more important tasks. Of course, before many of these advanced digital and analytics systems can be used, the information must be made available through them. This calls for the transfer of analog or physical documents onto digital systems, which is surprisingly an incredibly complex and logistical process. Publicly available legal resources and book are not the issue — though the owners of said material need to authorize their move to digital platforms. The real issue stems from the sensitive and confidential documents that only select individuals are supposed to handle and see. Like with sensitive medical records, many law documents and legal resources must remain secure and private. The systems involved not only need to be capable of handling vast quantities of materials, but they must do so in an incredibly secure fashion to prevent outside tampering or interference. Luckily, quite a few technology companies are working to provide and improve systems for doing such a thing. Data-parsing tools and analytics platforms can ingest legal resources and tag them with relevant meta-data and additional details, so they’re readily searchable. More importantly, the digital resources and content will be available in new ways — such as mobile platforms or solutions. This enables not just lawyers but everyone with access to the digital content to practice or become more familiar with the industry of law. Obviously, you can’t start defending clients without the proper credentials, but you will have instant and direct access to legal advice in the palm of your hand. This does bring about a multitude of new concerns, such as data security and privacy, as well as the highly regulated nature of modern technologies. Under GDPR — or the General Data Protection Regulation in EU — businesses must take full responsibility for the customer and client data they are handling. This includes law firms. We can then analyze digital content by varying automated tools and platforms, which are powered by AI and machine learning technologies. The beauty of machine learning is that we can use it to build a model or algorithm, then continuously improve it over time. So, you start with a good baseline, but it only gets better and more accurate from there. That explains why the demand for tech-savvy attorneys and lawyers has grown considerably in recent years. 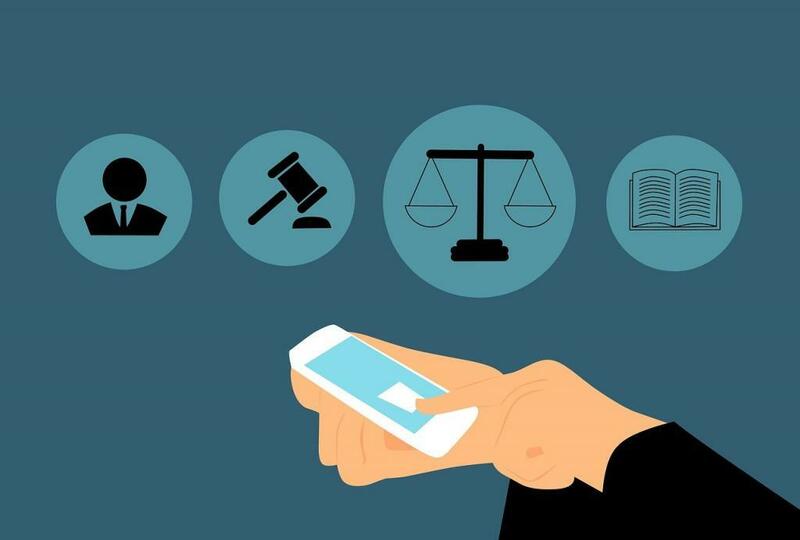 The future of law is heavily steeped in data and digital technologies. The widespread use of modern and emerging technologies has helped boost the demand for tech experience. In fact, it’s become so prevalent that certain states now require licensed and practicing lawyers to continue their education in a relevant technology curriculum. Florida is a great example, which now requires attorneys to acquire several new education credits. In reality, the more the industry adopts these technologies — and the more practicing professionals that incorporate them into their routine — the more competitive the entire market becomes. Lawyers without access to said platforms will find themselves at a significant disadvantage, if not outright defeated. A human just cannot keep up with an AI or machine learning systems, which never gets tired, never loses focus and continues to grow more skilled and more accurate over time. Tomorrow’s data-driven lawyers will have no choice but to climb aboard, learning these new technologies and becoming familiar with the AI solutions that will help them with their tasks.